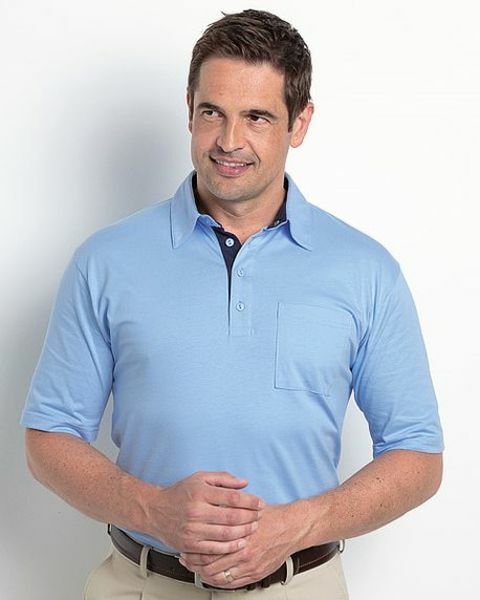 blue cotton jersey polo shirt. Machine washable. Sizes M-XXL. Polo Shirt With Smart Stand Collar And Breast Pocket. This short-sleeved top features a 3-button placket. Soft, Pure Cotton Jersey.